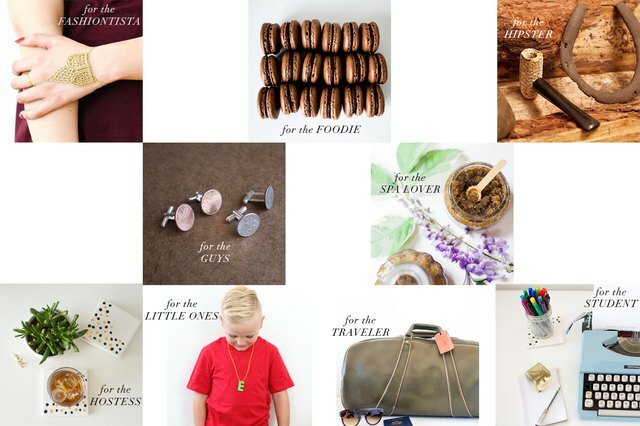 Stocking stuffers need not play second fiddle to the main gifts under the tree. Rather than filling stockings with impersonal trinkets and chotchkies, hang them by the chimney with care with these handcrafted DIYs instead. 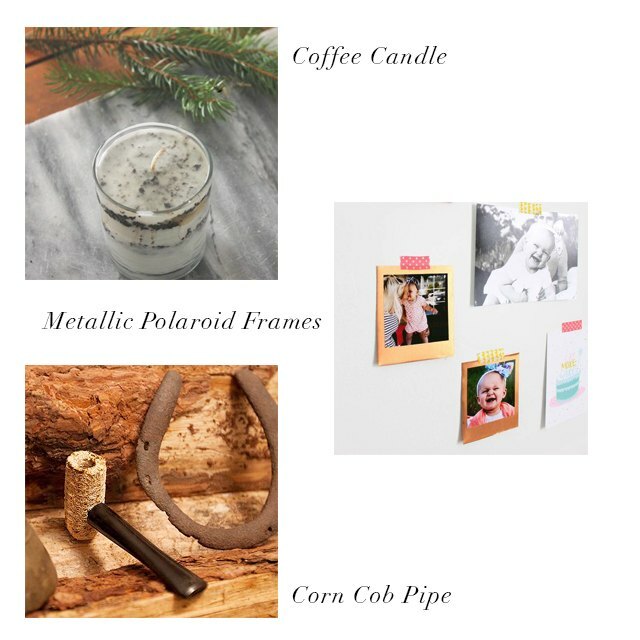 From the unconventional to the utterly elegant, you'll find something for everyone on your gift list. Any good hostess loves to set an impressive table, and these gold wire napkin rings add both elegance and bling to create a table that wows. 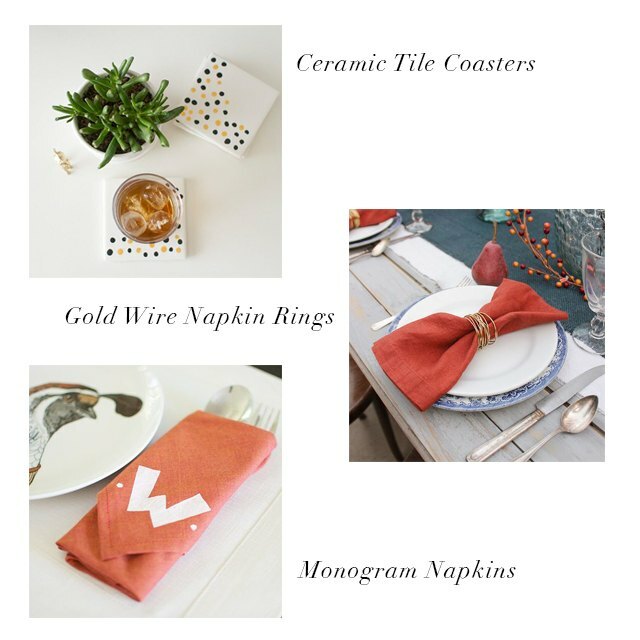 Monogram napkins lend signature style to place settings and are easy to customize with stamps or stencils. Ceramic tile coasters provide chic eye candy for tables, but also do double duty keeping surfaces protected. Plastic animals peep through these resin paperweights, adding humor and charm to students' desk décor. Pom pom bookmarks not only keep their pages marked, but also add a fashionable statement when they hit the books. 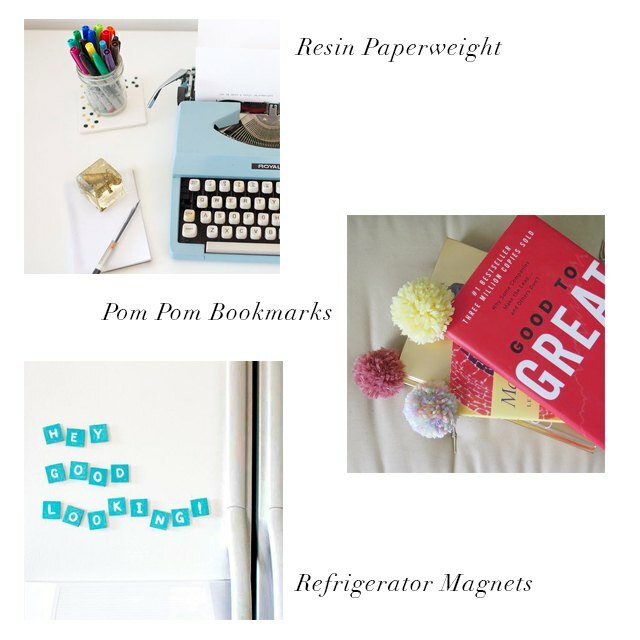 Letter magnets spell out playful messages, but are also handy for keeping memos on the fridge, especially amongst roommates. Score points with java lovers with a layered coffee ground candle, which lends a coffeehouse aroma to any space. Metallic Polaroid frames elevate regular photos into modern Instagram-esque artwork, which, let's be real, is the epitome of hipsterdom. Tobacco aficionados will love to puff away on this old-timey corn cob pipe that Frosty the Snowman himself has been known to sport. Perhaps the quintessential confection of Paris, homemade chocolate macarons are sure to impress any of your foodie friends. Chalkboard cookies not only make delectable treats, but also serve as canvases to create little works of gourmet art. A box of chocolate peppermint fudge is a perennial holiday classic that appeals to many palates and will definitely satisfy even the biggest sweet tooth. 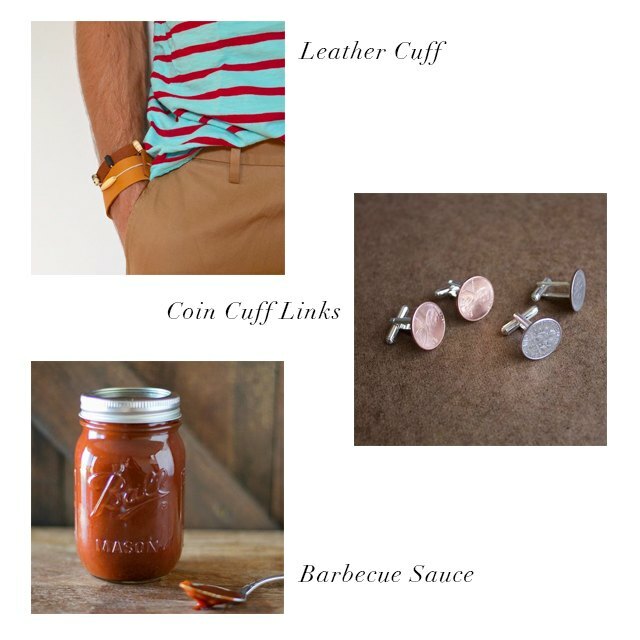 Men like a little arm candy, too, and this faux leather cuff is a rugged alternative to a typical watch. For fancier occasions, coin cuff links add a bit of polish and panache to an otherwise plain shirt. If grilling is more his thing, you can't go wrong with a jar of classic barbecue sauce, which cooks up in just 30 minutes. 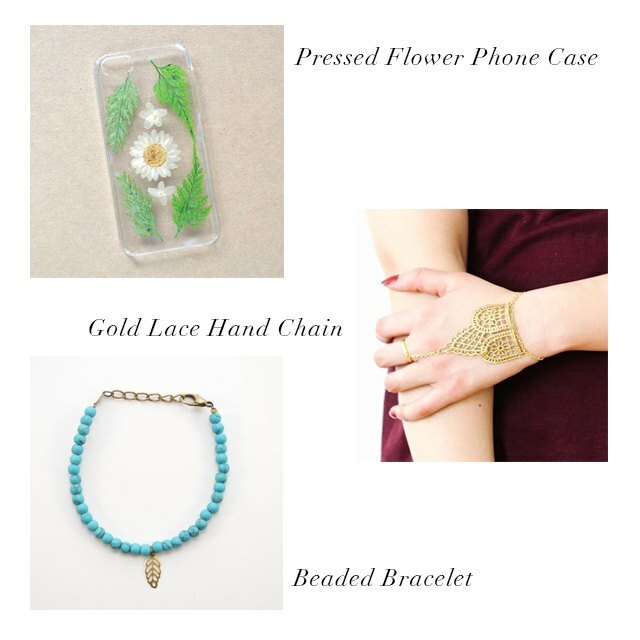 As accessories, phone cases rank right up there with jewelry and hats these days -- this DIY version of an Anthropologie case will save you some serious dough. Part ring and part bracelet, a metallic lace hand chain is a unique bauble that makes a major fashion statement. Sometimes, simple is best, like this beaded bracelet, which is perfect for adding a pop of color to outfits. Winter temps take a serious toll on skin, but these moisturizing body butter bars provide an excellent defense against those dry skin woes. Give the gift of glowing skin with this wild orange sugar body scrub, which acts as a luxurious exfoliant for removing dead skin cells. 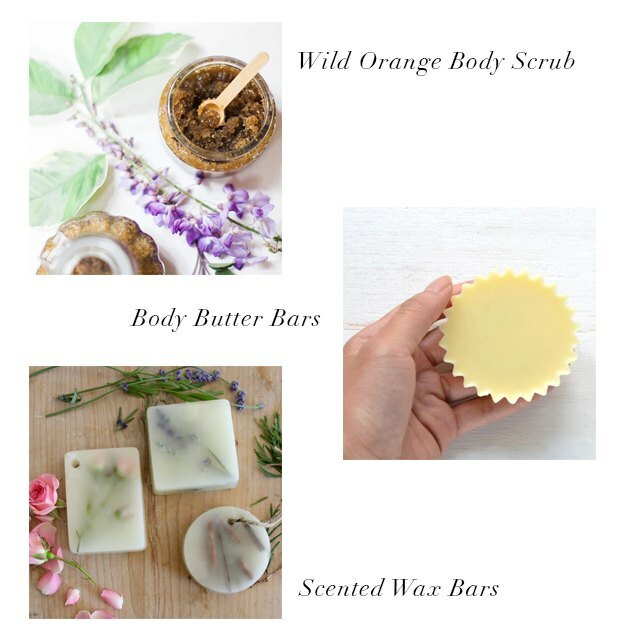 The essential oils in these scented wax bars add an air of spa-like aromatherapy to the bathroom for an indulgent day of relaxation and stress relief. 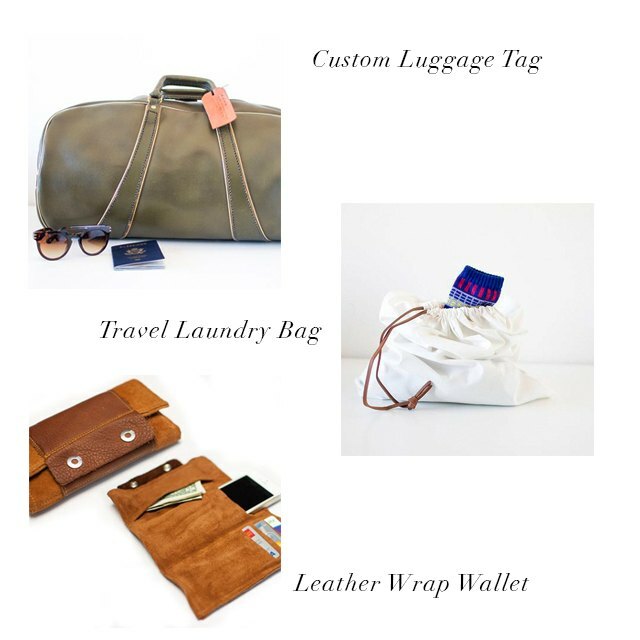 Travelers' bags will stand out in style with a custom-made leather luggage tag that has hand-stamped lettering. A handy travel laundry bag folds up easily in suitcases and keeps clean and dirty clothes separate. This leather wrap wallet conveniently stores essential cards and cash all in one place for fast and easy access on the go. Babies will be captivated by the various textures, colors and patterns in this sensory stimulating book made from scrap fabric. A play microphone encourages kids to rock out to their favorite tunes and practice their best dance moves. 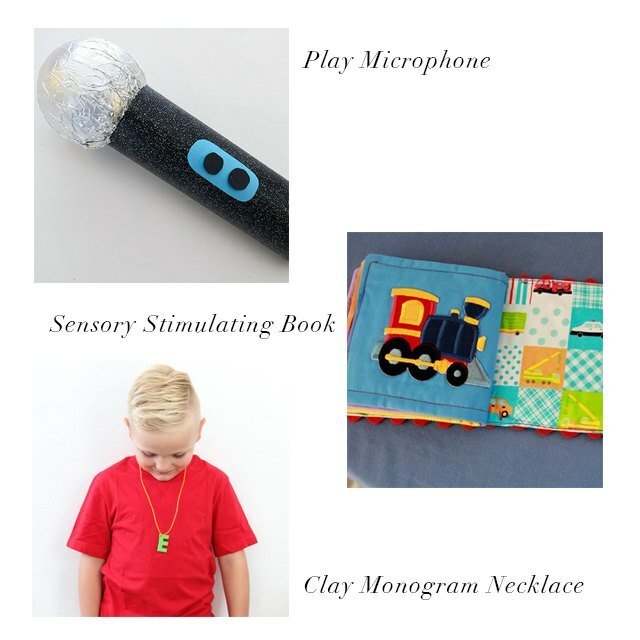 Kids can have fun accessorizing with monogram necklaces, which are made from clay and can be customized according to color, size and font.